Jonathan Silberstein-Loeb, the author of The International Distribution of News, explains the origins of our news associations, the concept of news as property, and how modern technology is changing the newsman's business model. Contracts not copyright. That is a key lesson from the history of the international distribution of news. To protect the value of news reports in the absence of a secure property right, news providers devised contractual mechanisms for retaining exclusive control over their news reports. The way in which these contractual mechanisms developed to protect business interests provides important insights for information providers and policy makers attempting to grapple with the Internet. News loses its value as soon as it is published. To protect the value of news, newspapers established associations, such as the Press Association in England and the Associated Press (AP) in the United States. The associations were more than clearinghouses for news. They were contractual mechanisms for controlling access to information. By restricting access to their news reports, these organizations generated value through exclusivity. Cooperation and exclusivity worked symbiotically. The major news agencies and associations of the nineteenth and twentieth centuries also cooperated internationally. The AP, Havas in France, Reuters in England, and Wolff in Germany relied on cartel agreements to generate value in the news reports they sold overseas. To entice news providers to cooperate, contracts were devised to spread the costs of gathering the news and to control its exclusive value. These two attributes of cooperation were constantly in tension. If cooperation was expanded, the cost of newsgathering to each news provider declined; conversely, increasing the scope of cooperation decreased the exclusive value ascribed to the news reports cooperation generated. The continuous struggle to balance these competing incentives in the face of changes in technology, market dynamics, and regulation was central to the history of news collection and distribution. Mechanisms for cooperation and exclusion clashed with state-based rules respecting competition policy, the limits of freedom of contract, and the social value ascribed to news as a tool of democracy. In the United States, state and federal law determined the extent to which different forms of organization for the collection and distribution of news were viable. In the United Kingdom, although news organizations were ostensibly free from regulation, the nationalization of telegraphy and radio determined the shape of the market. Domestic regulation constrained the national operation of news agencies and associations as well as the way in which they operated overseas. Throughout the British Empire, Reuters encountered the same difficulties it confronted operating in the British Isles. The so-called imperial news agency found it difficult to sell its news at a profit throughout the Empire. To compensate, Reuters was obliged to bring the newspapers of the colonies and dominions into closer cooperation with it. Likewise, American regulation shaped the way in which the AP gathered news abroad. 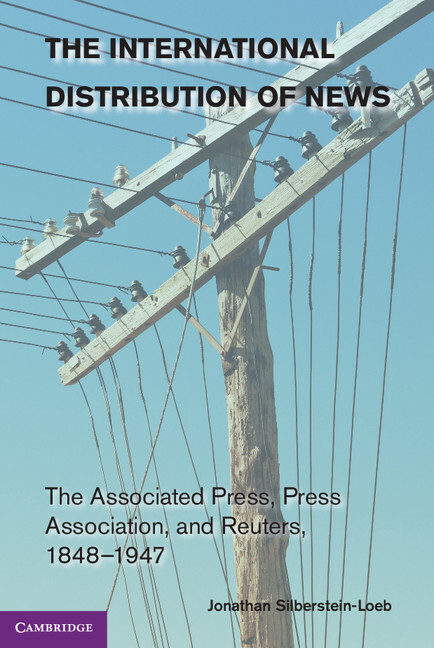 Hamstrung by American court decisions, the AP found it problematic to continue cooperating closely with other international news organizations, such as Reuters. This is a story about property told through the lens of business history. Although telecommunications technology, such as telegraphy, radio, television, and the Internet, are central to the history of the international distribution of news, no less important were the technology of contract and the ability of news providers to utilize contracts to secure the exclusive value of their news reports. Today, content providers on the Internet would benefit from studying the advantages of cooperation and contract as a way in which to secure the value of their products online. Policymakers might also discover that cooperation, if regulated, need not be anticompetitive, but may be an effective way in which to encourage the supply of news and other content.